The newest edition to the Princess fleet. An evolutionary design, with exciting new features. A signature poolside venue of Princess, playing first-run movies, sporting events and concerts under the night sky. Don't miss the complimentary popcorn! Everything from Quick Getaways under 5-nights to World Cruises over 100 nights, Princess provides many ways to Come Back New. A Princess Cruise Tour is the combination of a cruise with a multi-night land tour to inland destinations that the ship can't reach. It's a great value and the ultimate vacation! Enjoy this plush, outdoor spa-inspired setting with signature beverages, light meals, massages, attentive service and relaxing personal entertainment. Available on select Princess ships. Revel in the luxury of time, with the variety of wonderful treatments available at the Lotus Spa. Expand your horizons with the extensive and engaging enrichment programs that Princess offers at sea. Possibilities may include lectures, cooking demonstrations, wine tasting, fitness classes, and more! Low Price Guarantee on all Princess Cruises! Book any Princess cruise with us and you'll get the best deal possible, regardless of the ship or sail date! 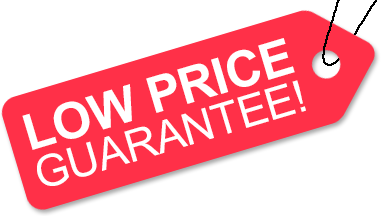 Because of our "Low Price Guarantee," nobody beats our Princess cruise prices, so look around and you're sure to find the best Princess cruise deal possible when booking with us! Pre-Paid Gratuities on Princess Cruises! Get an Onboard Credit or Cash Back when you book a Princess cruise with us. The value depends on the particular cruise and accommodations you book. Values are listed on Step 3 of the online booking process. Select Princess cruises booked with us have special amenities associated with them. Possibilities include bottles of wine and photo vouchers. Come Back New Sale: Onboard Credit, FREE Upgrades & More! ♦ Up to $600 Onboard Credit per stateroom! ♦ A FREE Stateroom Location Upgrade, based on availability! ♦ Limited time 3rd & 4th guest savings, starting from $99 per guest! ♦ A 10% Reduced Deposit per person! Offer is valid for new bookings made March 1, 2019 through April 30, 2019 on select sailings departing Fall 2019 through Spring 2020. Additional restrictions may apply. Offer is capacity controlled and subject to availability. Sail Into Savings: Up to 40% Savings & Reduced Deposits! ♦ Up to 40% OFF your cruise fare! Offer is valid for new bookings made March 5, 2019 through April 30, 2019 on select sailings departing Spring 2019 through Summer 2019. Additional restrictions may apply. Offer is capacity controlled and subject to availability. Extra Onboard Credit for Military on Princess Cruises! Qualifying US and Canadian military members can get up to $250 in Onboard Credit per person, on top of our other Princess cruise deals! Valid on just about any Princess cruise that's departing at least 14 days from when you book. Applies to first and second guests only. A special form must be submitted by the customer to the cruise line directly, after booking. Certain restrictions apply. View the offer details on our Military Travel Deals page for more information, or to access the required form. We do not charge booking fees on any cruises! You're sure to enjoy an affordable Princess cruise when booking with us! Our special offers on Princess Cruises may not be combinable. Certain restrictions apply to each offer. View terms and conditions during the online booking process. Princess Cruises is one of the most, if not the most, recognized cruise lines in the world. Princess Cruises started with quite modest beginnings back in 1965, with a single ship cruising in Mexico. Princess gained much notice after its Pacific Princess, back in 1977, was cast on "The Love Boat" television show. After a significant amount of expansion in recent years, today's Princess fleet of 18 state-of-the-art ships sails all around the world, to just about anywhere in the world you'd want to vacation in. Princess Cruises' ships are among the best, and most modern, in the cruising industry. Princess has helped bring the cruising industry to a new level, with a focus on giving their passengers as many choices as possible while keeping with an idea of giving a "big ship choice with small ship feel." They offer a wide range of ship sizes, from large, feature-filled vessels (like Royal Princess, Ruby Princess and Emerald Princess) to much smaller, intimate ships (like Ocean Princess and Pacific Princess). Princess Cruises has spacious and accommodating ships, packed with amenities. With two to three main dining rooms, warm and intimate in scale, and two to three spectacular theatres for a choice of entertainment nightly, you'll always find the freedom to chart your own course. Princess offers (on most ships) both assigned and anytime dining setups, giving its passengers the choice between a more traditional dining setup (with the same waiting staff each night) and a more "up to you" option. One of Princess' more recent innovations is their "Movies Under the Stars" giant poolside LED screens, showing various movies, concerts and live sporting events throughout the day and night. Princess Cruises offers one of the widest array of itineraries and ports of call in world-wide cruising. From the Aleutian Islands to the Cape of Good Hope, from the Strait of Gibraltar to the tip of South America, and from the islands of the South Pacific to Alaska's Glacier Bay, Princess Cruises traces the coastline of all seven continents, and drops anchor in about 280 exciting ports. Many of their embarkation ports are located in the U.S., including New York, Seattle, Los Angeles, Fort Lauderdale and San Francisco. American Discount Cruises & Travel is proud to offer the best deals on all Princess cruises booked with us. Backed by our "Low Price Guarantee," and powered by our team of expert travel agents, we're sure to exceed your expectations when booking your next Princess cruise! Princess' passion for culinary arts is best expressed in C.H.E.F. or Culinary Heritage of Excellence in Food. On a Princess cruise you're able to choose your dining format, between Traditional Dining (where you can have an assigned dining time and table, either early or late) and Anytime Dining (an open-seating setup where you can choose to dine at whatever time you want within the appropriate dining hours). Princess has introduced Lotus Spa Cuisine on their dinner menus, adding even more variety to their already great cuisine. There is also at least one specialty restaurant onboard each Princess ship. Among the possibilities (depending on the ship) are Sabatini's, Crown Grill and Sterling Steakhouse. These venues are totally optional, and are available to guests at a nominal charge. There are just so many things to do while onboard a Princess cruise ship. The Lotus Spa is where you can enjoy a wide range of pampering treatments, from facials, scrubs and massages to body wraps and body therapy. Available on many of Princess' ships is Movies Under the Stars, a giant poolside LED movie screen that shows concerts, movies and sporting events. The Sanctuary is an adults-only area of select Princess ships, where you can relax in a plush, outdoor spa-inspired setting with signature beverages, light meals, massages, attentive service and relaxing personal entertainment. ScholarShip@Sea is a fabulous enrichment program available on all Princess cruises, featuring lectures, cooking demonstrations, digital photography workshops, ceramic painting lessons and much more. This is just a small sample of the many things to do on a Princess cruise, as there's simply something for everyone. With 35 embarkation ports and hundreds of ports of call, Princess Cruises features one of the largest varieties of cruise itineraries. From full World Cruises and itineraries in exotic locals in Africa, Asia, Australia, Europe, the Middle East and South America to more common itineraries in the Caribbean, Mexican Riviera, Canada and Alaska, Princess is sure to offer exactly what you're looking for. What's New for Princess Cruises? Princess Cruises recently announced it’s fourth Royal-class ship, Sky Princess, scheduled to debut in October 2019. Set to sail the seas of the Mediterranean, Sky Princess will carry 3,660 passengers and feature all-new décor and an innovative design. Some of its highlights include a towering atrium, Princess Live! entertainment venue, an adults-only center, youth and teen center, an outdoor movie theater, and restaurants including the Salty Dog Grill, Alfredo’s Pizzeria, Vines Wine Bar, Chef’s Table Lumiere and World Fresh Marketplace. 80% of all staterooms will have balconies. Princess Cruises is set to reveal details about the ship’s newest guest-enhancing features in the near future. Sea Princess recently underwent refurbishment in November 2017 that included the addition of a new suite category, updated accommodations, improvements to the outdoor movie screen, additions to the entertainment program and updates to their children’s programs. The new suite category, Club-Class mini-suites, have beach-themed décor and feature exclusive extras including priority embarkation and disembarkation and entry to a restricted dining area with a bigger menu and accelerated seating. All staterooms were outfitted with new Princess Luxury Beds and the outdoor movie screen was updated to a wide-angle screen with a sharper image quality. Two new entertainment programs, Princess’ Encore musical and The Voice of the Ocean, a spinoff of the popular show The Voice, were added to the list of things you can do onboard. Finally, the ship’s youth clubs were redesigned to include activities and three new spaces for age groups ranging from 3 to 17. Princess introduced a brand new chocolate experience across its fleet, which debuted aboard Regal Princess in November 2014 and expanded to the rest of the fleet by early 2015. This new program is called Chocolate Journeys and includes a full line of chocolate desserts at all of Princess's signature restaurants, chocolate love pops at the Captain's Cocktail Reception, premium chocolate/wine tastings, chocolate cooking demonstrations, a chocolate drink menu, and finally chocolate spa treatments. Diamond Princess recently completed a dry-dock where she received a fresh new make-over that guests are sure to love. Regal Princess, the sister-ship to Royal Princess, debuted on May 20, 2014 with a maiden voyage that departed from Venice, Italy. The 3,560 passenger ship spent her inaugural season in the Mediterranean before traveling to Florida in October for a Winter Caribbean season. In June of 2013, Royal Princess debuted in Southampton, England with much applause and fanfare. Royal Princess was Christened by her Godmother, The Duchess of Cambridge, during a wonderful festival on June 13. Many famous British musical artists performed during the Christening including Natasha Bedingfield, Mass Ensemble, and Broadway star Kerry Ellis. During the spring of 2011, Grand Princess received a slew of enhancements, including the addition of a few Window Suites, and the conversion of the deck 5 atrium into The Piazza. Star Princess also received updates during Fall 2011, including an upgraded casino and conversion of Sterling Steakhouse to Crown Grill. Sapphire Princess is expected to be refurbished in the winter of 2012. Enchanted Princess - NEW SHIP! » Cruise deals coming soon! Majestic Princess - NEW SHIP! Regal Princess - NEW SHIP! Royal Princess - NEW SHIP! Sky Princess - NEW SHIP! Click a price below to view the Princess cruises available during that month in that destination.